It initially seemed like an average Saturday at the Hilton Downtown Chicago this past weekend: there were young people rocking ripped shorts and skimpy tops for Lollapalooza, families and friends wearing traditional Middle Eastern garb for a wedding and staffers greeting each and every guest who walked through its Michigan Avenue doors. A different world lived on the hotel’s lower level, however. 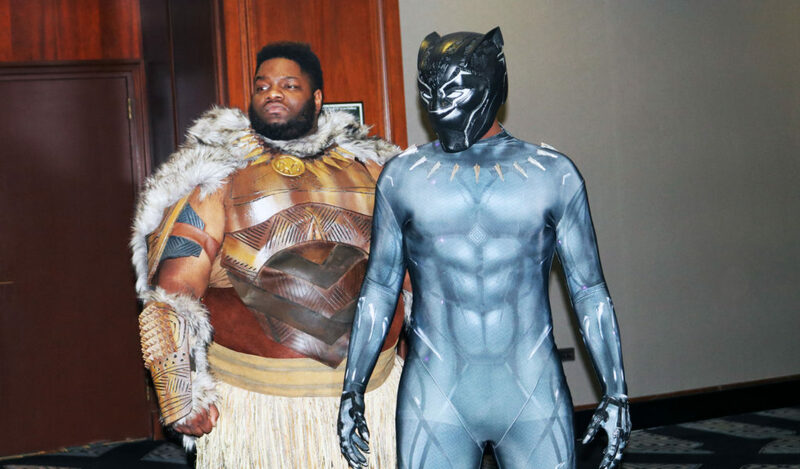 There were dozens of Black people in afrofuturistic masks, traditional African prints, body art and costumes from Disney/Marvel’s Black Panther movie. 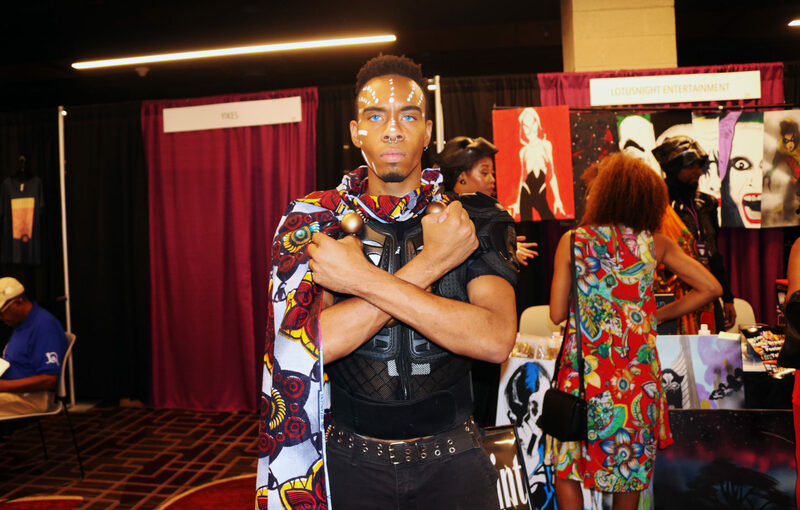 This was the world of WakandaCon, a three-day fanmade celebration of all things Blerdy, a.k.a. Black and nerdy, including video games, comic books and cosplay. Brent Watkins attended the inaugural convention. 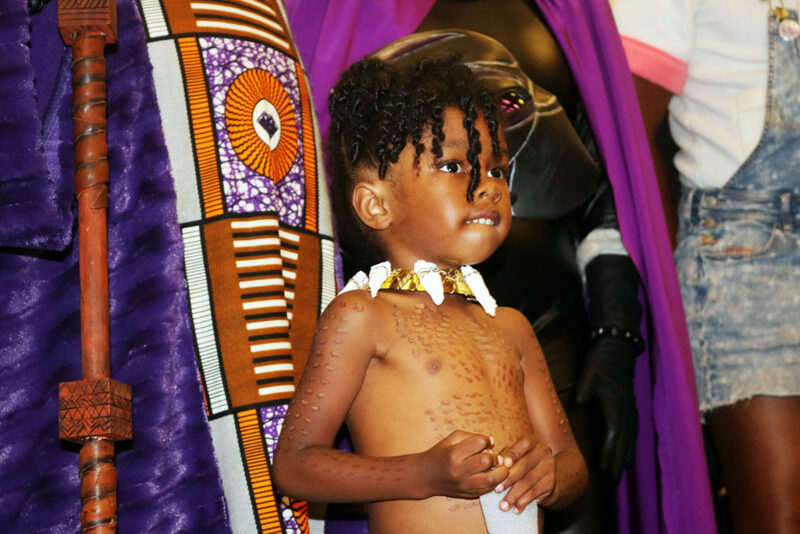 He dressed up as M’Baku, the super buff leader of the wolfpack Jabari Tribe from the Black Panther. When asked about the film’s influence on popular culture, Watkins explained that being a nerd wasn’t always so widely accepted in the Black community. “I get a lot of people who like what I do, but they’re like, ‘Nah. That’s not what we do,’” Watkins said about people judging his love for dressing up as characters from different movies, books and video games. Technology had a space in WakandaCon, too. Video-game vendor and promoter, I Play Games!, hosted a weekend-long gaming tournament with classics such as the 1992 version of the X-Men arcade game. Outfits extended beyond the Marvel universe, as well. Some parents dressed their children in cute costumes such as DC Comics’s Bumblebee, a Teen Titan member who also is one of the franchise’s first Black woman superhero. Author Octavia Reese was happy to be among the long list of science fiction and afrofuturistic writers. 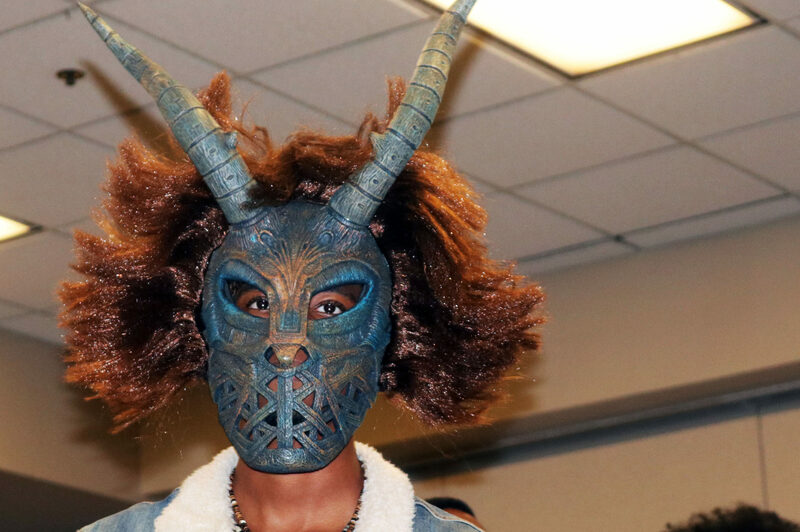 At her booth, she showcased copies of her book series, The Hibouleans, a ten-part novella about a lonely 14-year-old girl and shapeshifting relatives in a walled-off, forgotten Detroit. “It’s a young adult, sci-fi fantasy series featuring characters – bold, brown, brilliant girls in the lead because we never get to see ourselves in the leads of epic adventures,” Reese said. 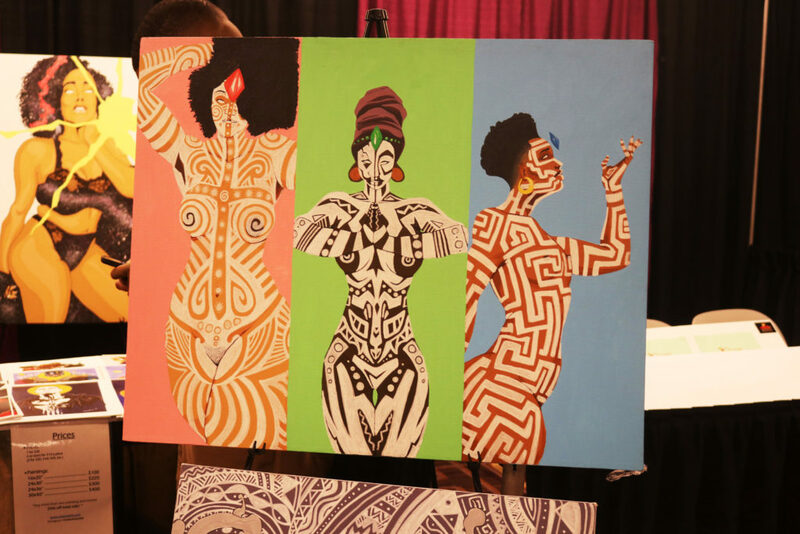 Representation played an important role in WakandaCon. 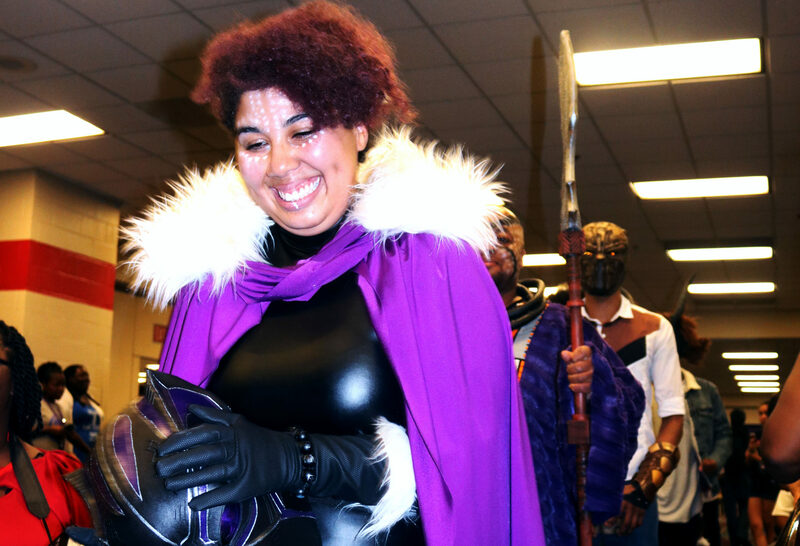 Though most attendees and their families had attended some sort of comic-book convention in the past, being surrounded by people who look like them and share similar passions was something they’d never experienced before. “I’m really enjoying it. I really am,” Jakki Hudgins said. She dressed up as Storm, the Black weather-controlling female hero from X-Men. Her son, Steven Jenkins, Jr., is a longtime cosplayer, and has been attending similar conventions since 2003. He helped his mother put together her Storm costume.